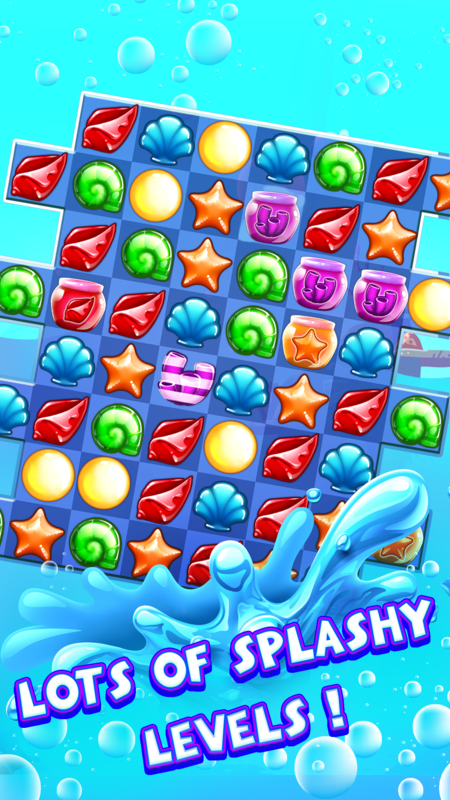 Ocean Smash Mania is a smooth match 3 puzzle featuring awesome ocean figures and candies! Sea Stars, seashells, seaweed, jellyfish, seahorse and many more divine and stunning items and surprises. Play now and enjoy thousands of splashy levels filled with exciting items, boosters and power-ups, super addictive puzzlers and bubble packed watery challenges. 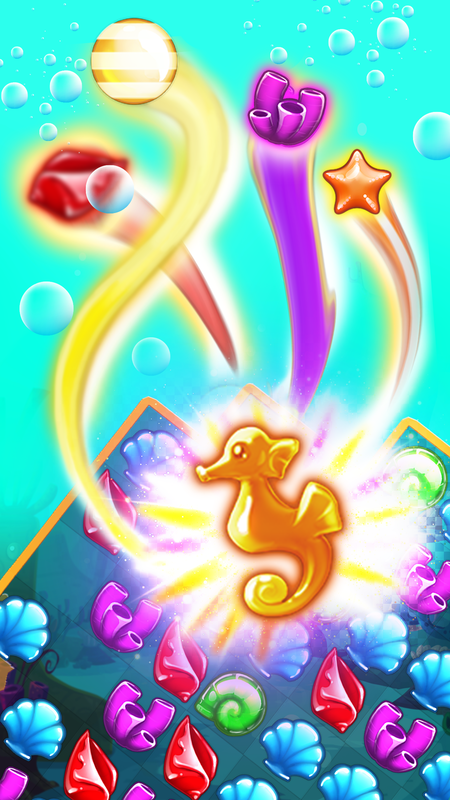 We want to make sure that players will get the most innovative and fun games, so we have developed this cool game designed to take you to an exciting adventure at the fish kingdom! 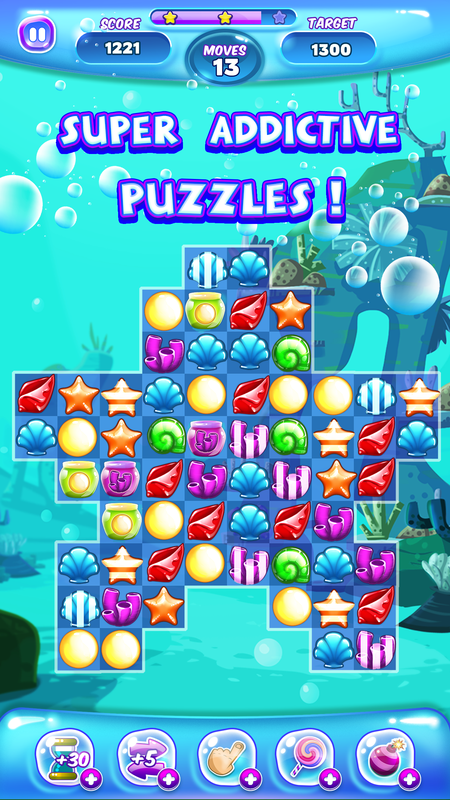 Explore a sea full of match 3 puzzles and the magical world of the ocean creatures, travel through wondrous underwater worlds and complete the missions set at the beginning of each level. Boost your experience and charge up with awesome marine boosts. 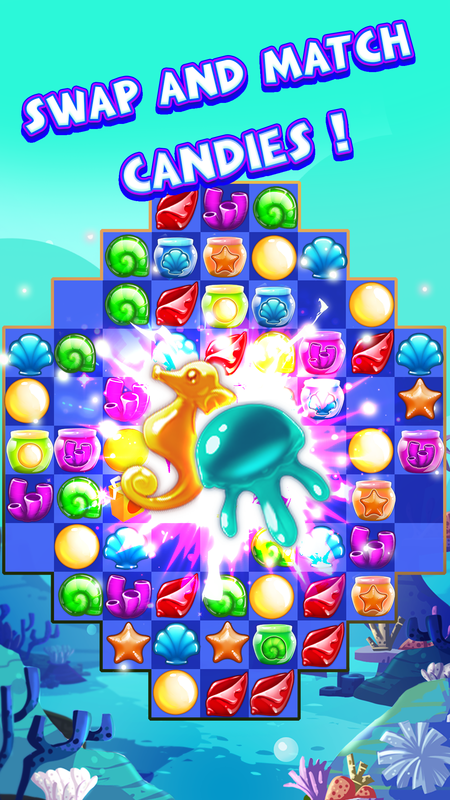 Move delicious ocean candies to burst and win points, match at least 3 treats of the same type to pop the group. Less moves you use-the higher score you will get so try to win more points to earn 3 stars on every level. 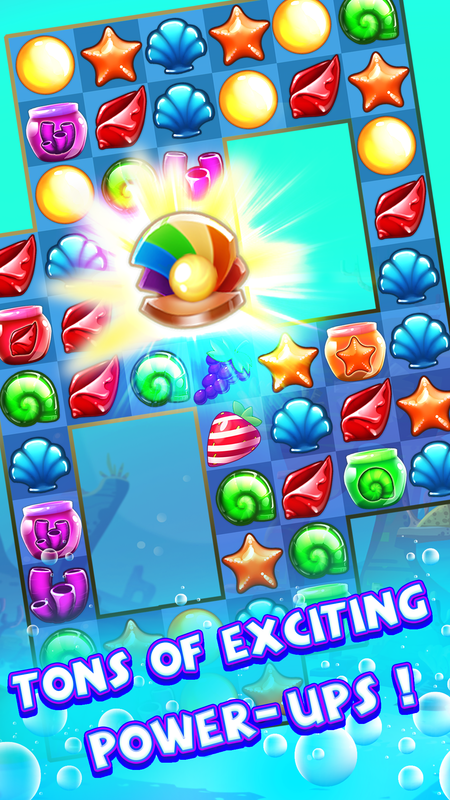 Ocean Smash Mania is an addictive puzzler and the best match 3 adventure on Google Play. Download today for free and let the fun flow!